The TV presenter popped to see Chris and open the new studios, but he ended up doing so much more. Andi Peters popped in to chat to the team today and officially open the newly refurbished Radio X studios. 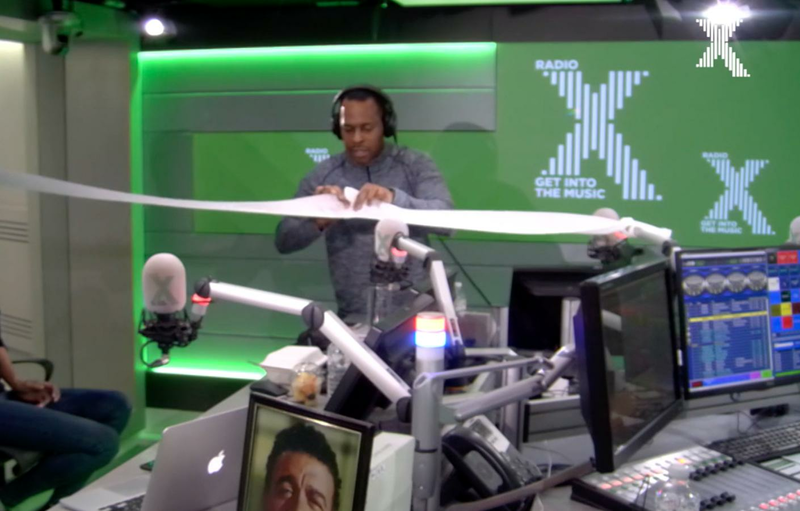 What that actually looked like, however, was the Live & Kicking legend carefully ripping some loo roll across the studio. Not before taking some time to flog himself as a new presenter for Heart, attempt to read the news AND do a little rap. He has absolutely no idea where Compton is though. Watch the TV presenter wax lyrical in our video above. Is there nothing he can't do? !